Those who are on a diet are supposed to have an free day/meal at the end of every week. For me, I decided to have my free meal after every month (after every week will be when I reach my goal). 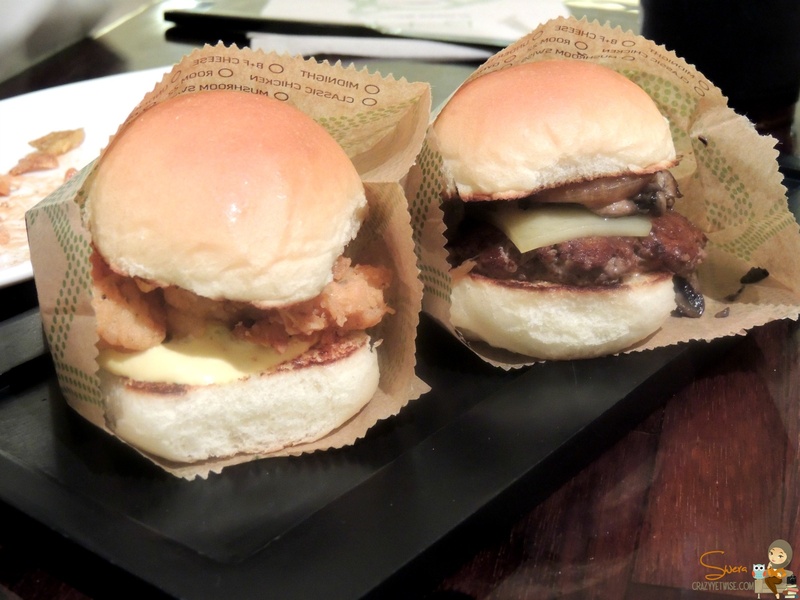 Anyways, so that day, I wanted to have burger and thought of trying Burger Boutique which I haven’t tried before. 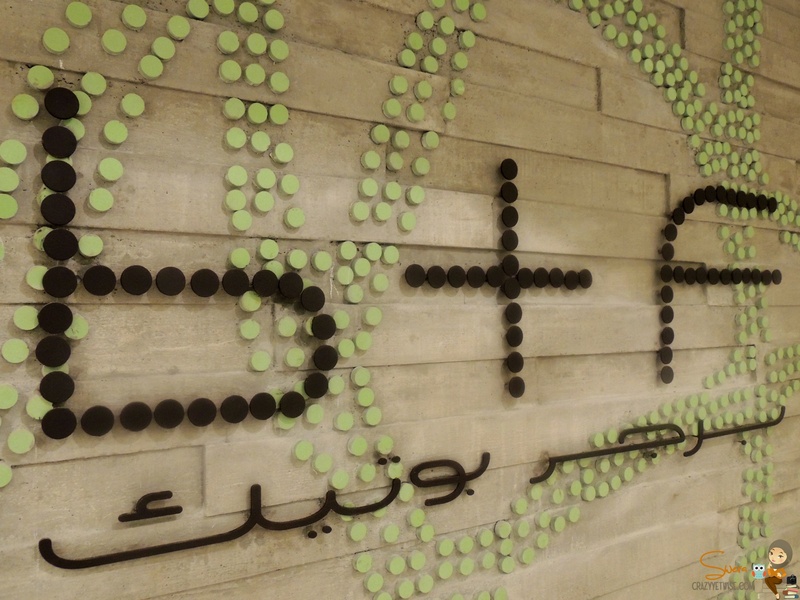 Juju, sister, dad & I went to Alraya for a delicious dinner. The service was super fast, the food was really delicious, tasty & fresh, and the staff were super awesome. Everything was perfect. 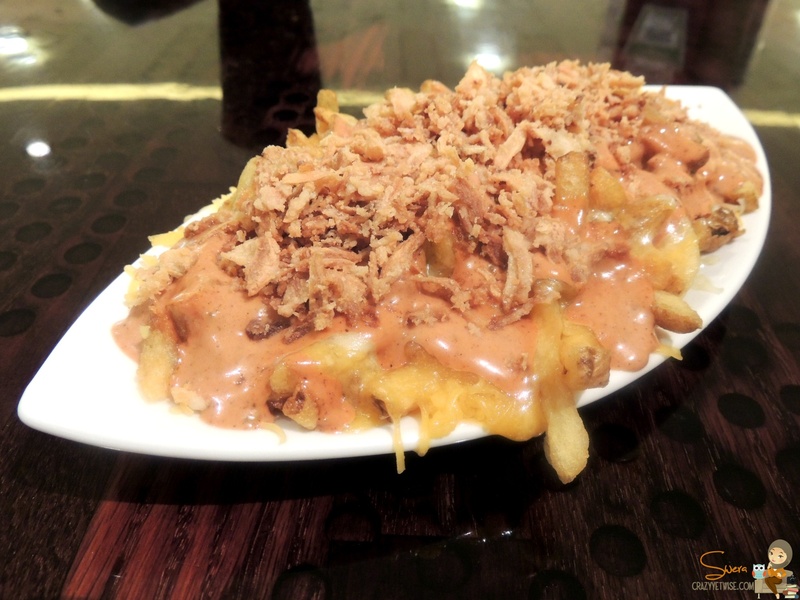 Ingredients: Cheddar, monterey jack, grilled onion, jalapeno, west coast sauce & crispy roasted onions. Verdict: Really delicious, the combination is perfect but very heavy. To be shared. 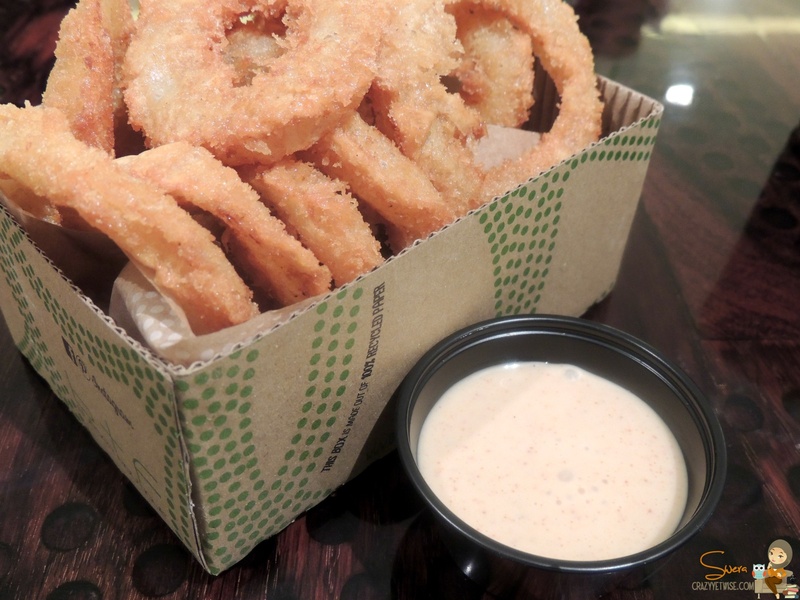 Verdict: The size of the onions was huge, it was good like any other onion rings & the sauce was yummy and spicy. Ingredients: Breaded fried chicken breast, American cheese, house pickle & tangy mustard mayo. Ingredients: Swiss cheese, grilled onion, mushroom, b+f special sauce. Verdict: This was my dad’s order. 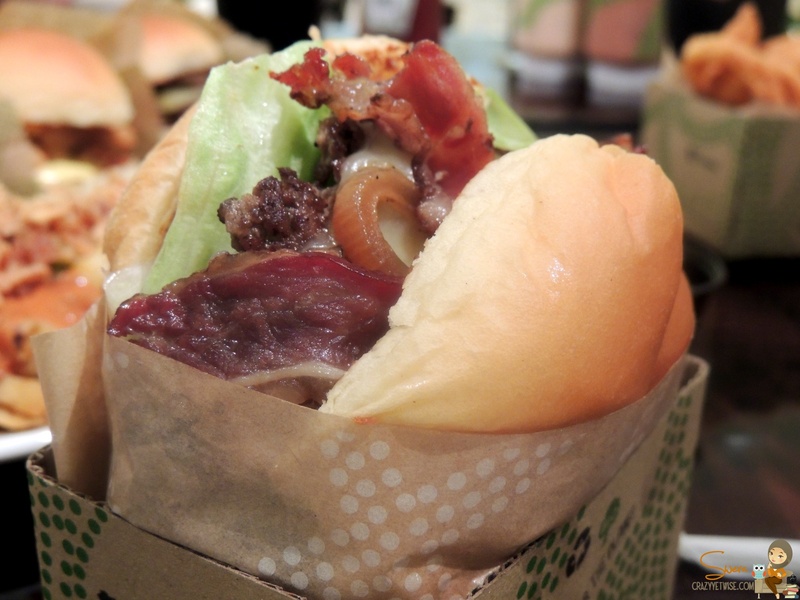 He liked it alot & said the burgers were very light and delicious. Ingredients:Tillamook cheddar, tomato, lettuce, onion & west coast sauce. Verdict: This was my sister’s order, she loved it. She kept on complementing the burger the whole night. and also said it was light, not heavy at all. 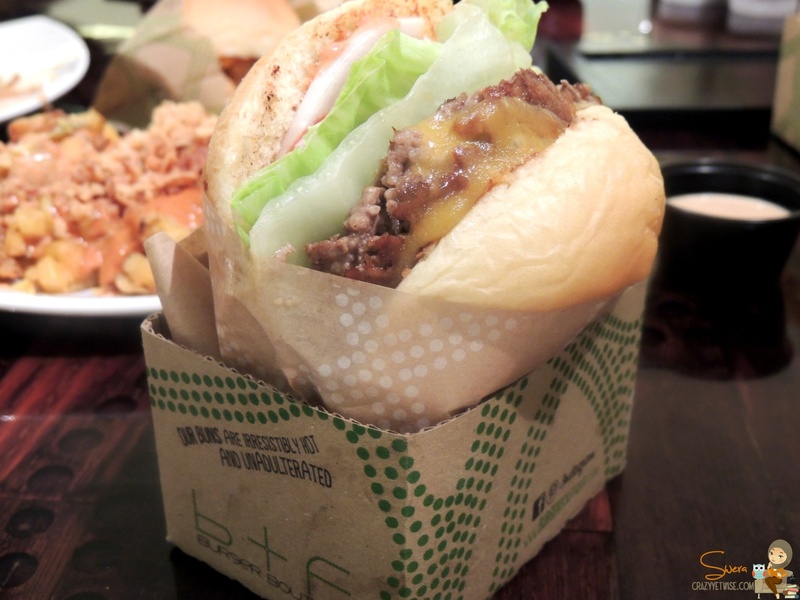 Ingredients: Bacon, Swiss cheese, lettuce, grilled onion, grilled mushroom, pickle, & b+f special sauce. Verdict: It was really good but very heavy, I guess the combination of the bacon & Swiss cheese was too much. 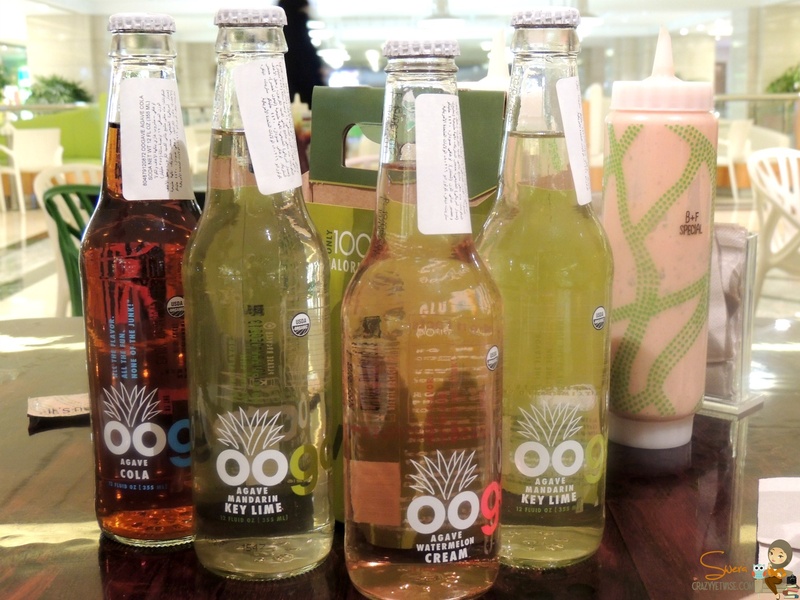 We were given these sodas for free to taste because they’ll be launched soon at the restaurant. I tried the Cola & Watermelon, both were ok, it tasted like sparkly water with a lil bit of flavor.